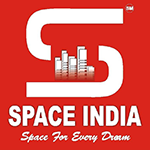 Space India has a uniquely diverse multi-domain portfolio that covers real estate marketing, property development & property consultancy services. Our projects extend across several locations in and outskirts of Navi Mumbai, covering peripherals towns like Panvel, Neral, Karjat, Khopoli, Ulwe etc. We cater to clients from both budget housing and up market perspective & proudly claim 6000 happy customers & growing. Our full spectrum of housing includes flats 1 RK, 2 RK, 1 BHK, 2 BHK and 3 BHK; all located in mini & mega townships of Panvel, Neral, Karjat, Khopoli, Ulwe. From the last six years, Space India has made its heartwarming presence felt in the Indian & International markets. Space India has a success story of 12 completed projects with 8000+ flats and 20 currently under construction projects. Apart from constructing & marketing residential properties we also provide assistance in land acquisition to developers & investors. Space India also runs a housing loan department to assist customers in understanding their eligibility/processes & later assist them in availing loan from prominent banks.